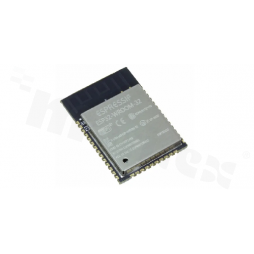 Bluetooth is a wireless free communication standard between various electronic devices. 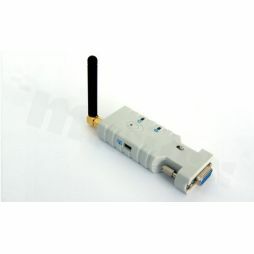 The communication range in the open air can reach up to 200m. This standard uses radio waves in the 2.4 GHz ISM band. 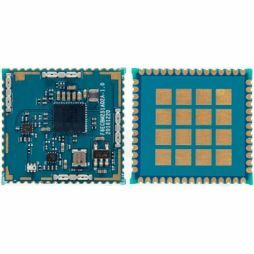 The basic unit of the Bluetooth technology is piconet, which includes a master node and up to seven slave nodes. Many piconets can exist in one room, and may even be connected to each other by means of bridge-type node. 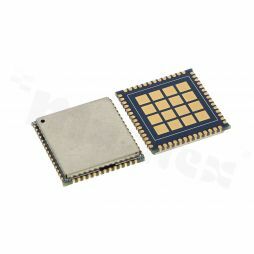 In addition to seven slave nodes, up to 255 nodes can exist in one piconet, remaining able to sync with the device master (it is called "Stand-by and low power mode"). 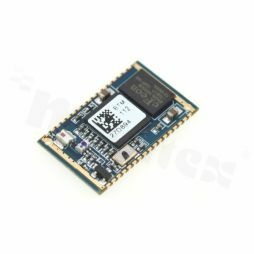 Transfer We offer a Bluetooth module V2.0 + EDR which allow you to transfer data at a level above 2.1 Mb/s. 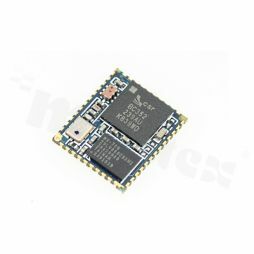 The introduction of EDR (Enhanced Data Rate) strengthened the transfer of up to 3.0 Mb/s. 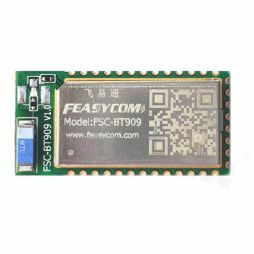 Feasycom FSC-BT616; Bluetooth Low Energy Module(BLE), 4.2 / 5.0; class 1.5; UART/I2C/SPI/12-bit ADC; Rx: -95 dBm / Tx: +5 dBm, PCB - size: 13* 26.9* 2mm, integrated antenna; Supply. 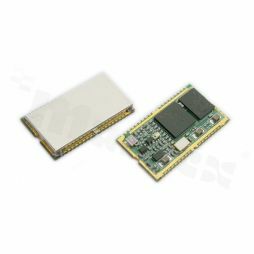 : 1.8...3.8 V; Factory packing: tray 180*195 mm. - vacuum. 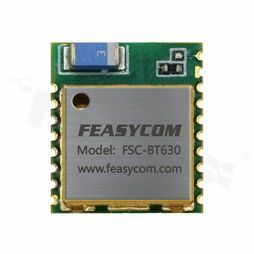 Feasycom FSC-BT630; Extra Low Ener. Consumpt. 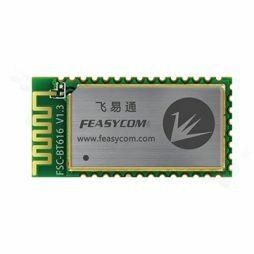 Bluetooth Module (Extra-BLE), 4.2 / 5.0; UART/I2C/I2S/AIO/PIO/PWM; Rx: -96 dBm / Tx: +4 dBm, PCB Size: 10*11,9*1,7 mm, integrated antenna; Supply: 1.7...3.6 V; Tray: 180*195 mm. -vacuum. 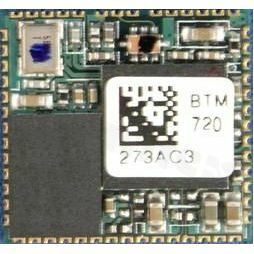 Alternative for fopular BTM222 module.